Self-Directed Roth IRAs provide a powerful combination of tax benefits and features: There is no up-front tax deduction on Self-Directed Roth IRA contributions, but as long as the assets remain in your IRA for at least five years, there are no taxes on any income or any growth of capital for as long as you or your surviving spouse shall live. This means you can combine the current income, potential for growth of income and potential capital appreciation of real estate with decades of tax-free compounding. With proper planning, the tax benefits of the Self-Directed Roth IRA can even extend into the next generation, using the ‘stretch Roth IRA’ technique. But real estate investing, even with leverage, is capital-intensive. 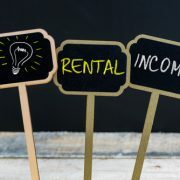 It takes a significant amount of money to acquire a property, and you will need more in reserves to handle those little emergencies that plague all landlords, sooner or later. But ordinary contributions to Self-Directed Roth IRAs are limited to $5,500, or $6,500 for those ages 50 and older. In other cases, higher-income individuals are prevented from making direct Self-Directed Roth IRA contributions at, because their income is above the $120,000-$135,000 income phase-out and cap. Your eligibility to make Self-Directed Roth IRA contributions begins to phase out when your adjusted gross income reaches $120,000 and phases out completely at an AGI of $135,000. But there is another way: The ‘back-door’ Self-Directed Roth IRA technique. Converting a Traditional IRA to a Self-Directed Roth IRA. You can turn any Traditional IRA into a Roth IRA, including a Self-Directed Roth IRA, by undergoing a process called conversion. The major consequence is you have to pay income taxes on any amount you convert to a Self-Directed Roth IRA. Essentially, you are paying the tax bill you avoided when you took the deduction for the original Traditional IRA contributions, plus taxes on compounding. Once this conversion is complete, all the dollars remaining in the account after you pay the income taxes are Self-Directed Roth IRA dollars, and grow tax-free within the Roth IRA, provided they stay in the account at least five years. If you take a distribution before then, you will be liable for the income tax on any growth. A 10 percent penalty also applies on any distributions from the Self-Directed Roth IRA prior to age 59½, unless certain hardship circumstances apply, or you elect to take distributions in the form of a series of substantially equal periodic payments over your life expectancy or the joint life expectancies of yourself and your spouse. Execute a tax-free rollover from the tax-deferred retirement account to a Traditional IRA with American IRA, LLC. Execute a taxable conversion of your new Traditional IRA to your new Self-Directed Roth IRA as outlined above. 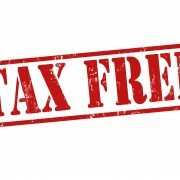 Note: A recent tax court ruling affirmed that each taxpayer is limited to one IRA tax-free rollover in a given tax year. 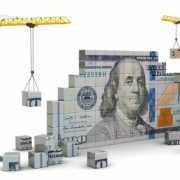 So, if you have multiple Traditional IRAs or other accounts you want to combine into a single account, you may need to spread the rollovers over several years. Your tax professional can help you with the details. Or call us at 866-7500-IRA (472) and we can walk you step by step through the process. However, American IRA, LLC does not give individualized tax advice. For information on your specific circumstances, we suggest you retain the services of a qualified tax professional. Note: The conversion strategy works particularly well for those who can afford to pay the income taxes on the amounts rolled over out of pocket, rather than using funds from within your Self-Directed Roth IRA.